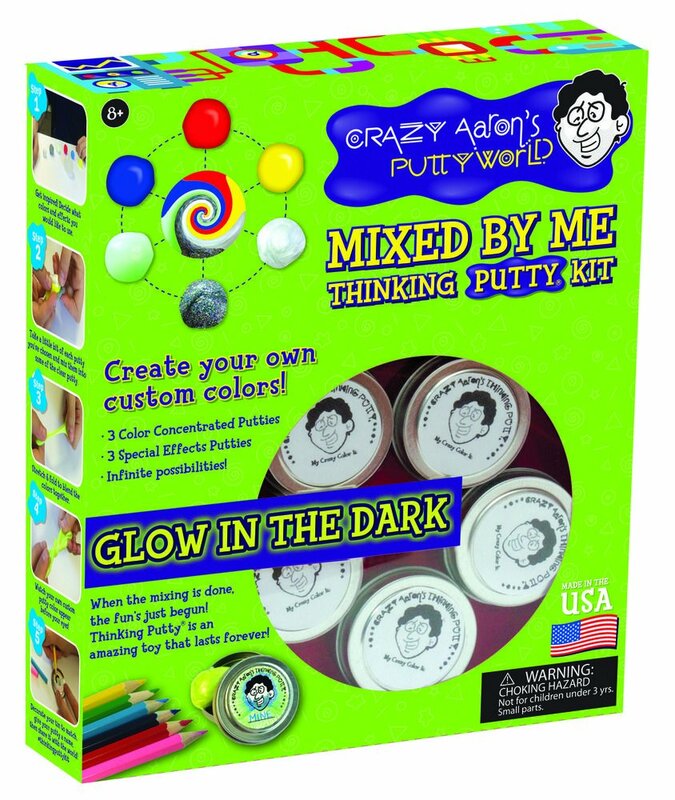 Create your own putty-using the same ingredients renowned putty master CrazyAaron uses! This play-full kit includes five tins of clear putty, 3 color-concentrated putties, 3 special-effects putties, 6 colored pencils, 5customizable tin labels, and a mixing mat with ideas for color formulas. Orinvent your very own colors and combinations of effects! No matter what youcome up with, it's sure to be as stretchy, bouncy, pop-y, sculptable, special,and enjoyable as all Crazy Aaron's putties-and more personal. A great partyactivity kids can take home! For ages 8 and up.